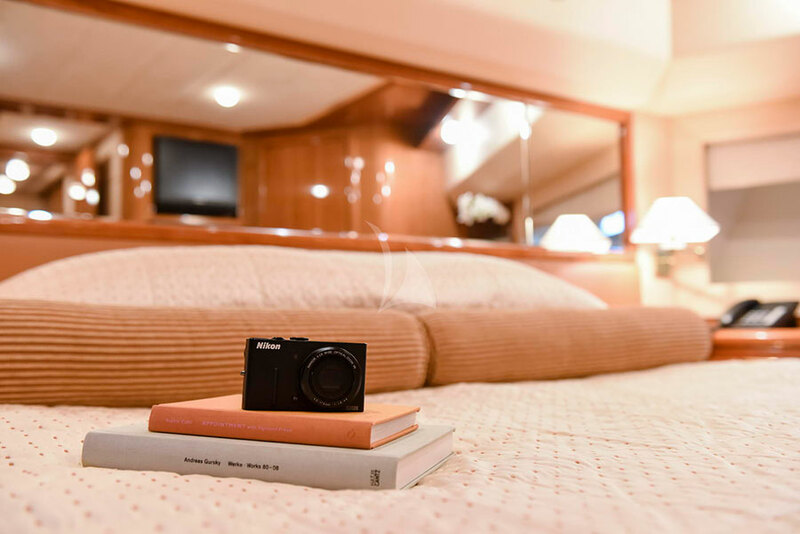 With unparalleled design and quality, this Ferretti 881 offers modern comfort, stunning looks, and technology that will maximize your experience cruising the Greek archipelago. 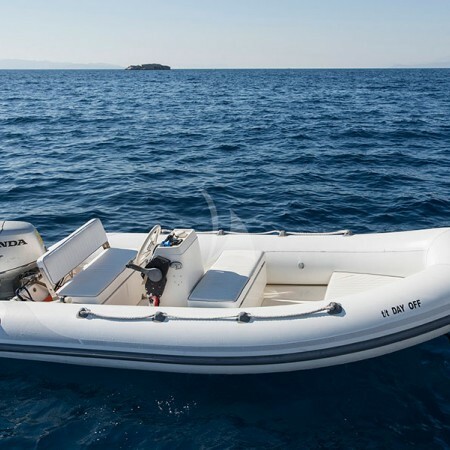 Her stabilisers allow for perfect steadiness at anchor and at low speeds. 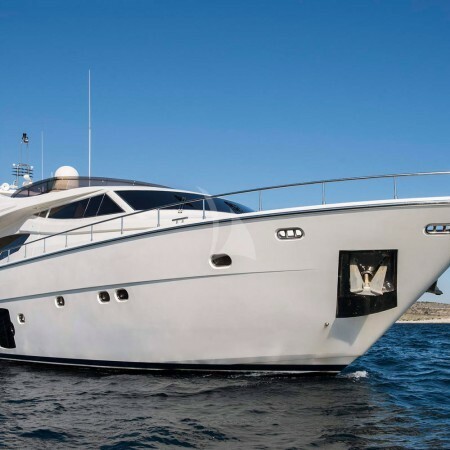 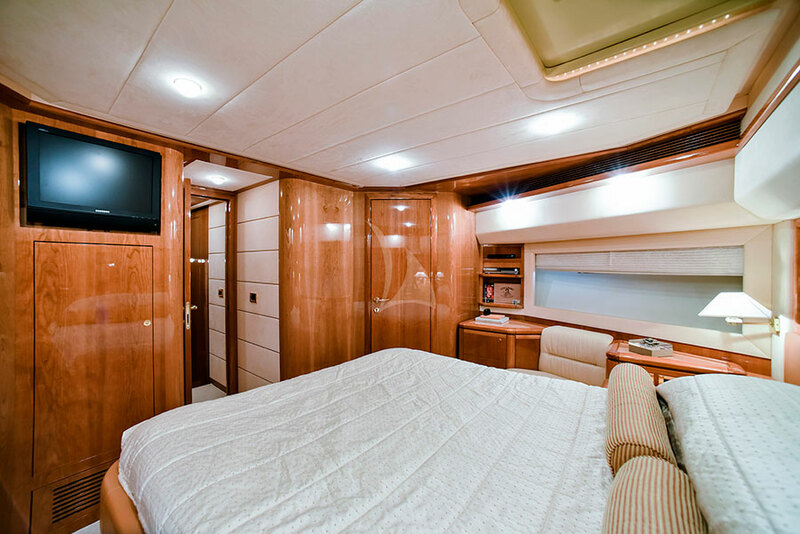 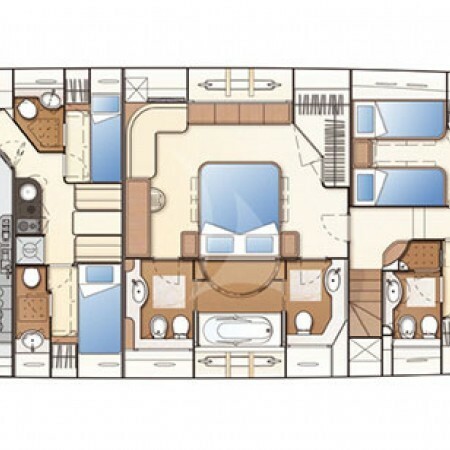 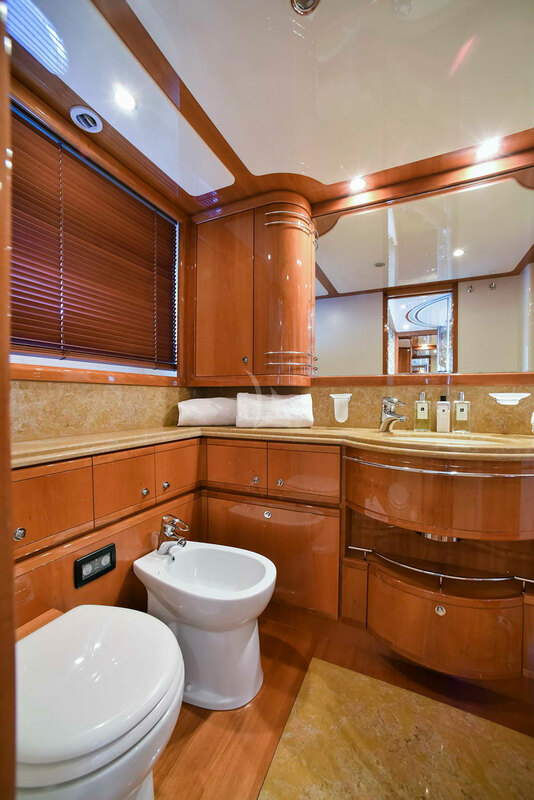 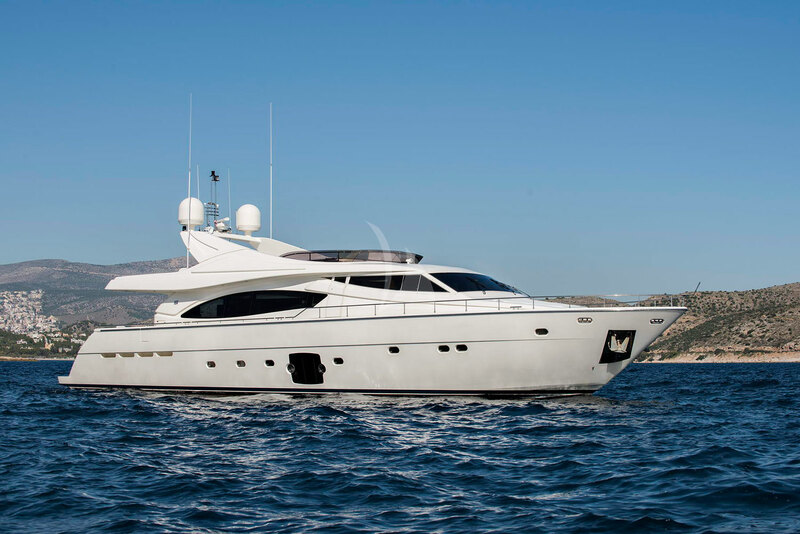 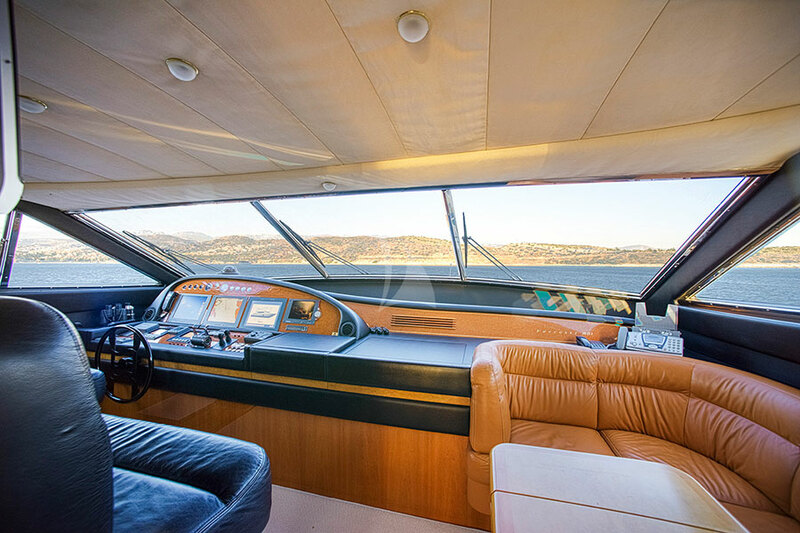 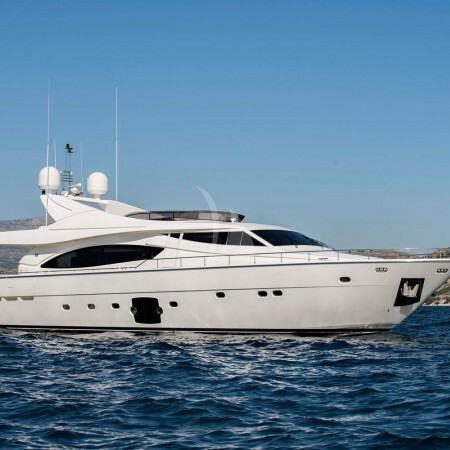 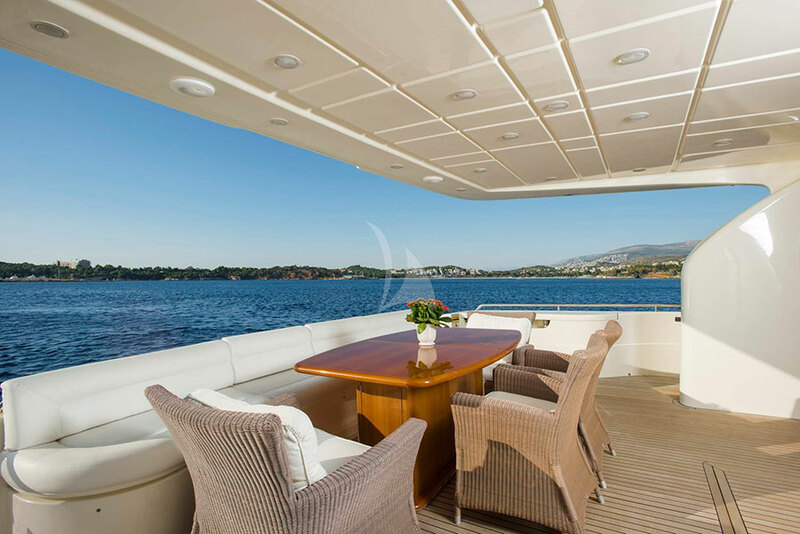 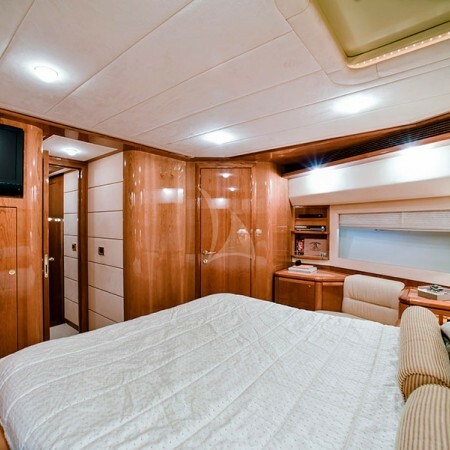 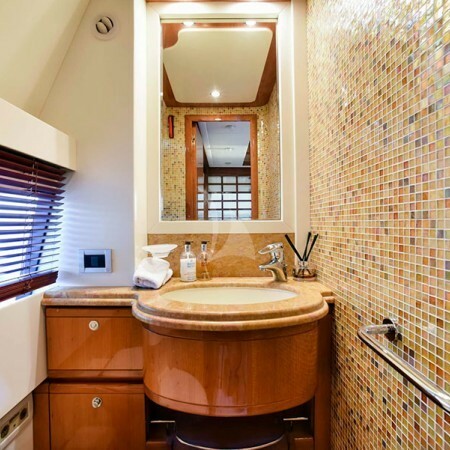 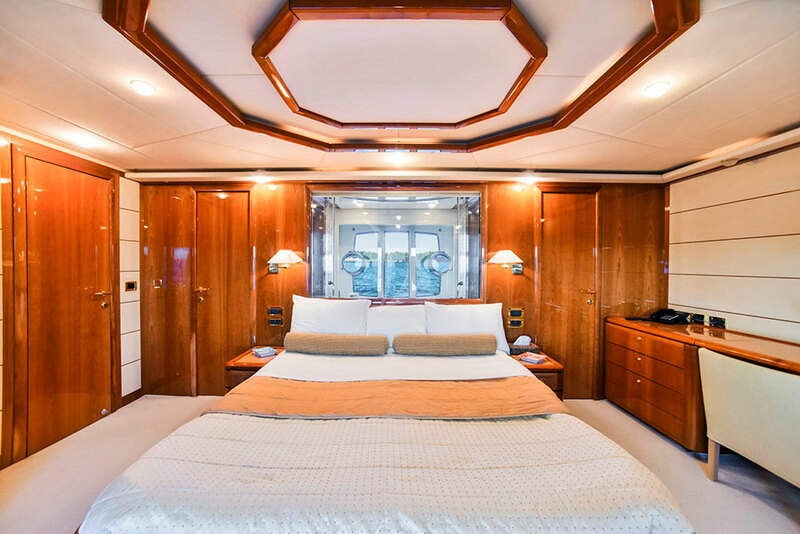 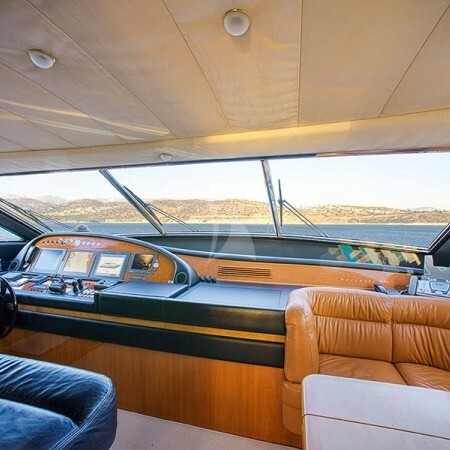 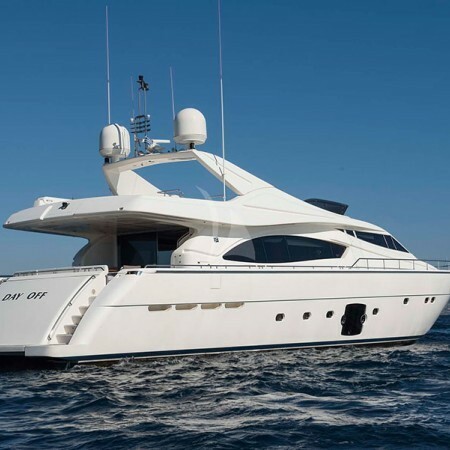 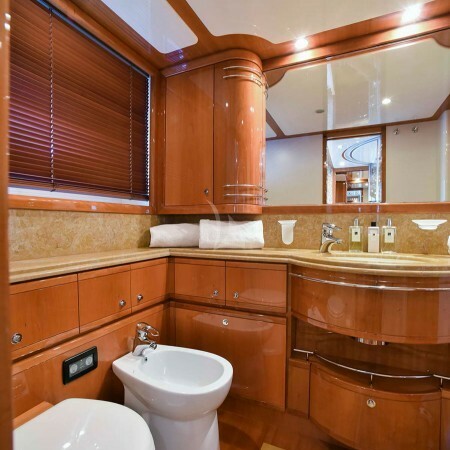 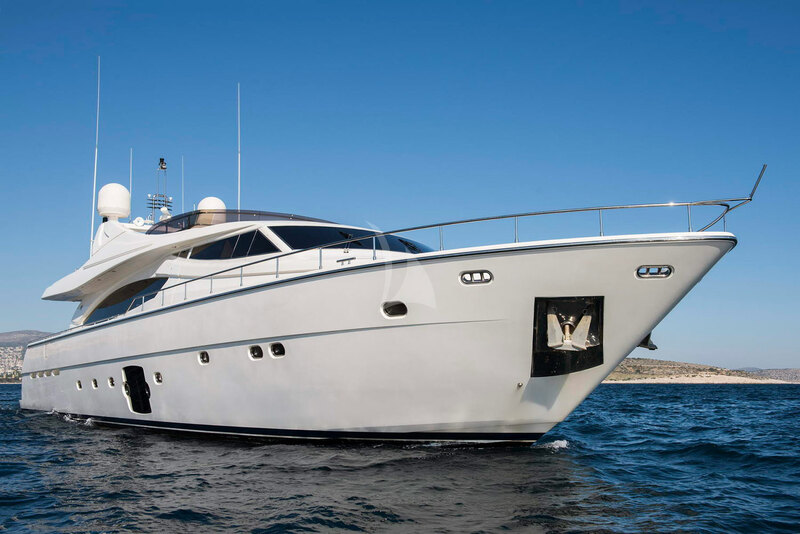 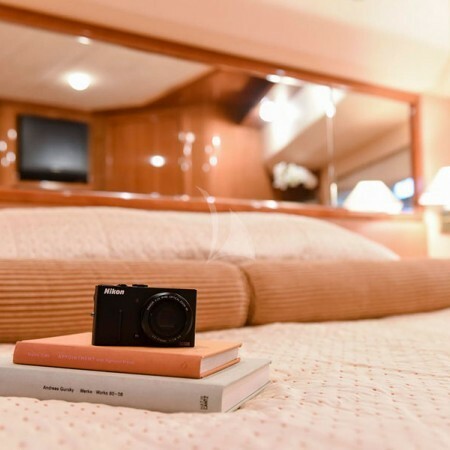 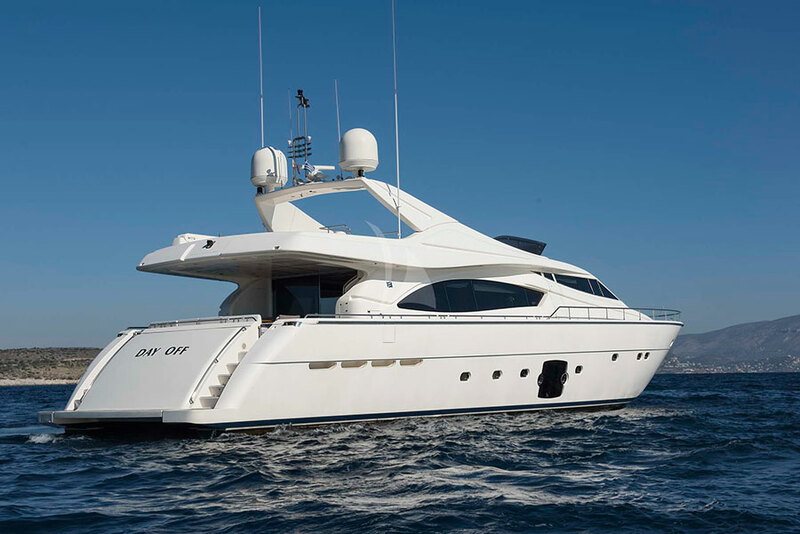 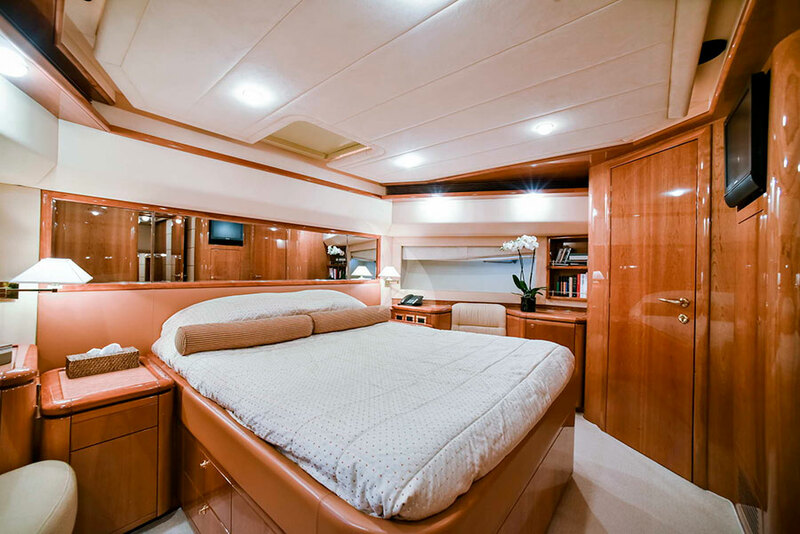 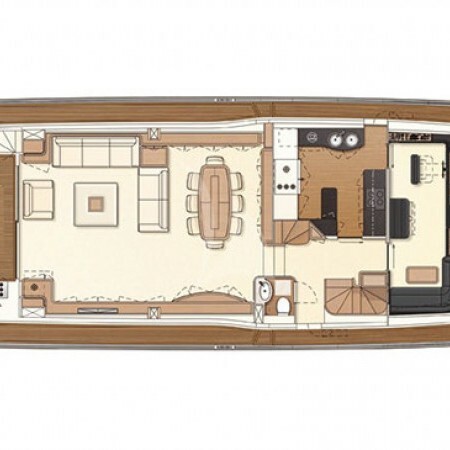 This splendid Ferretti 881 provides beautiful and comfortable accommodation for up to 10 guests in 4 lovely cabins, each with its own bathroom with marble floors. 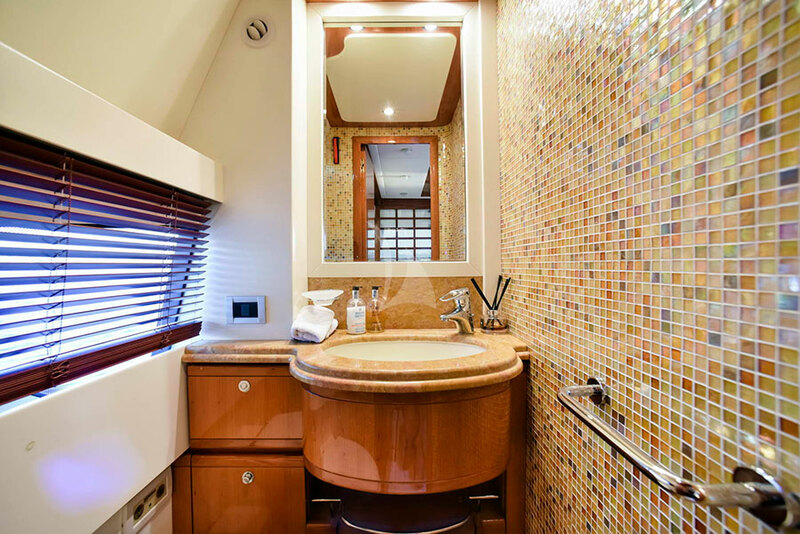 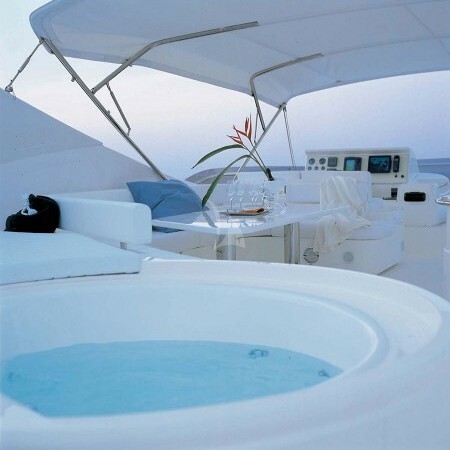 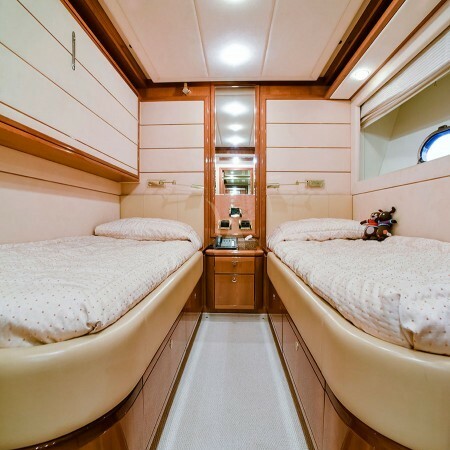 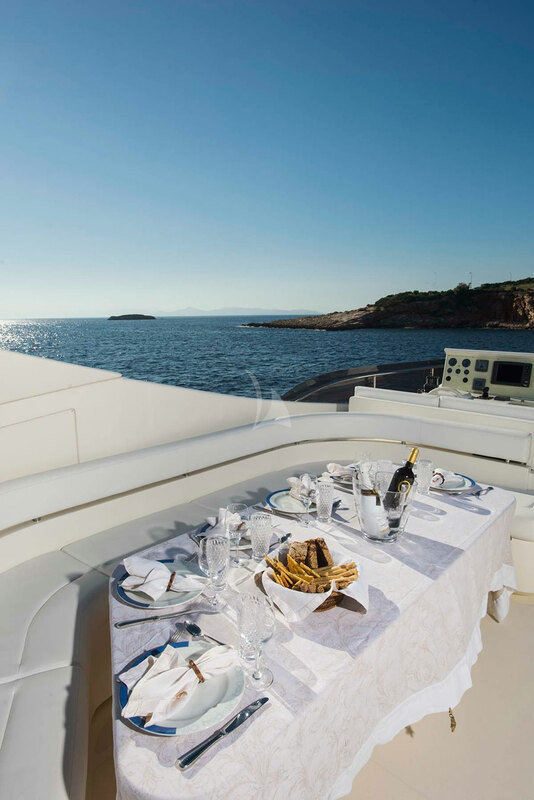 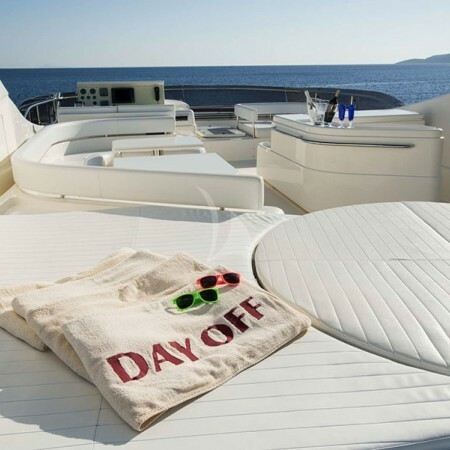 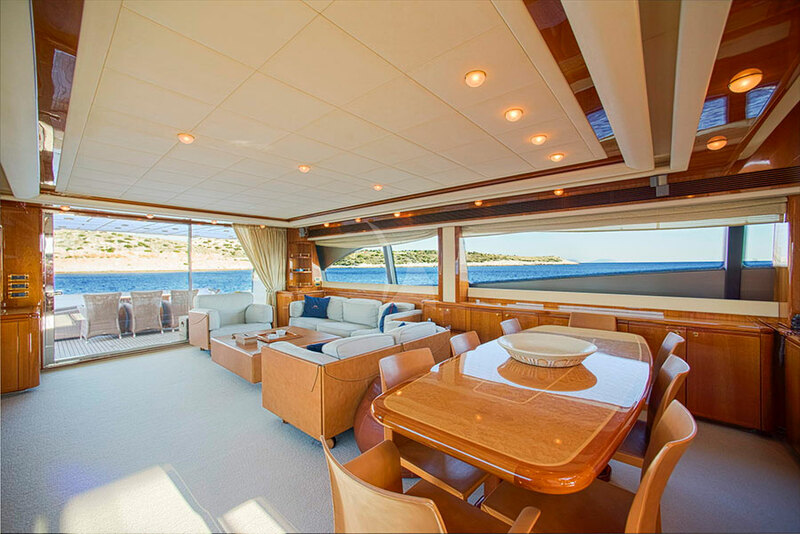 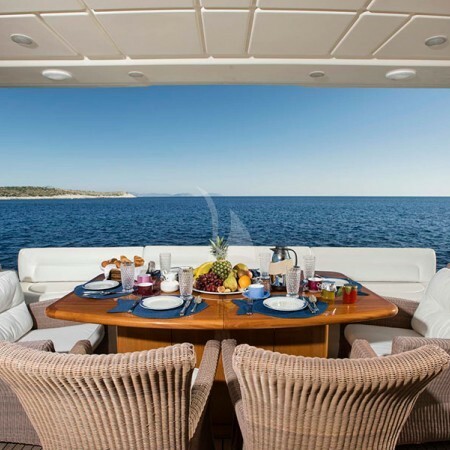 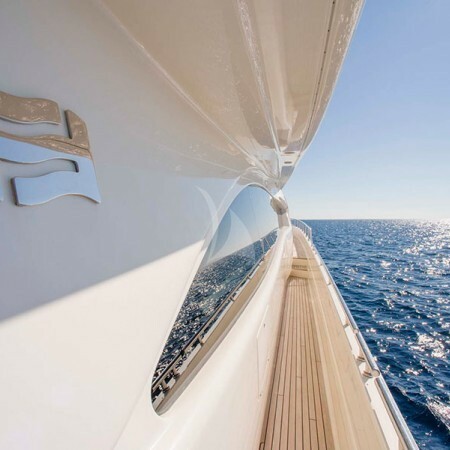 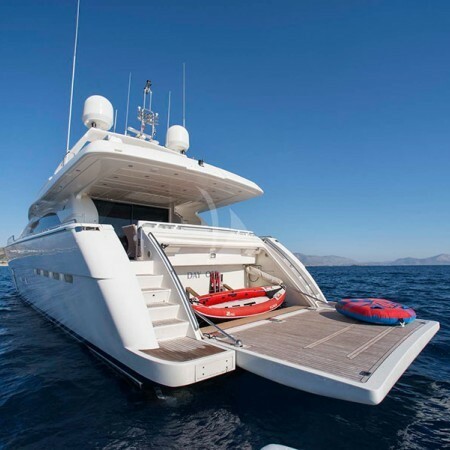 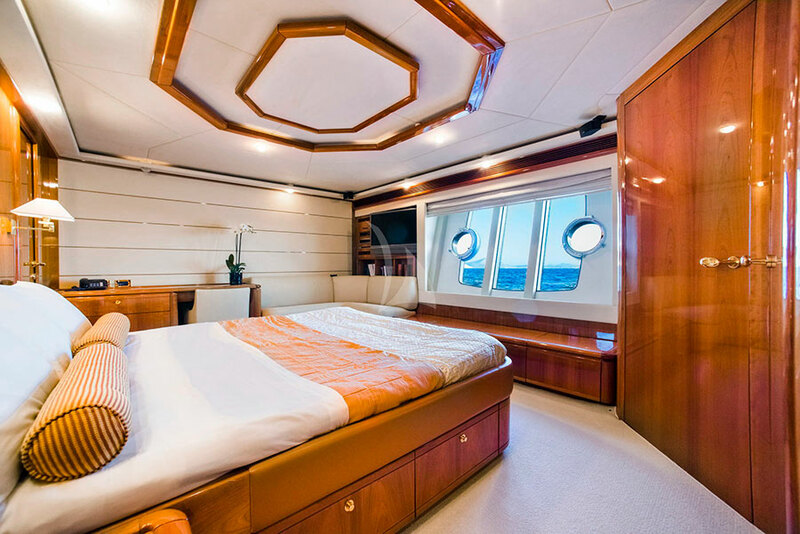 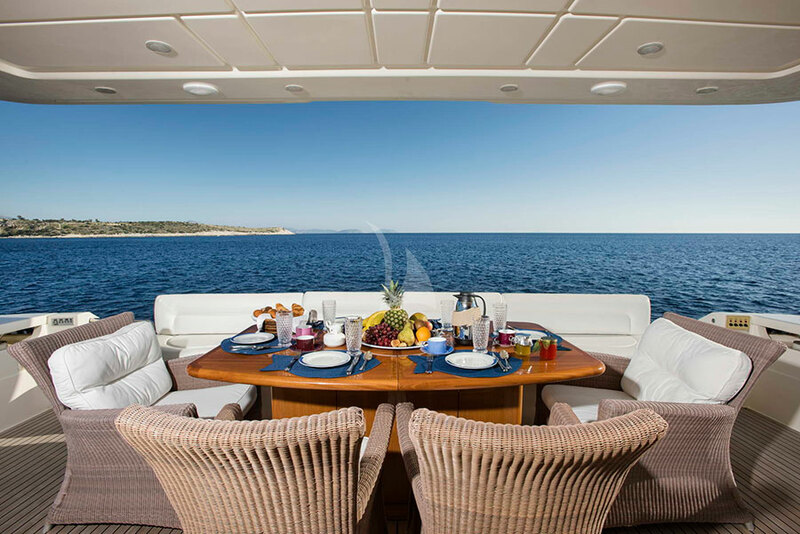 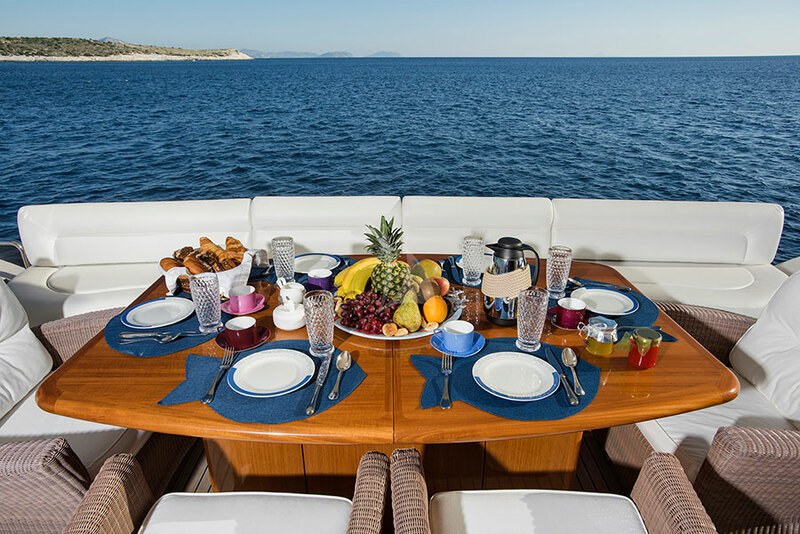 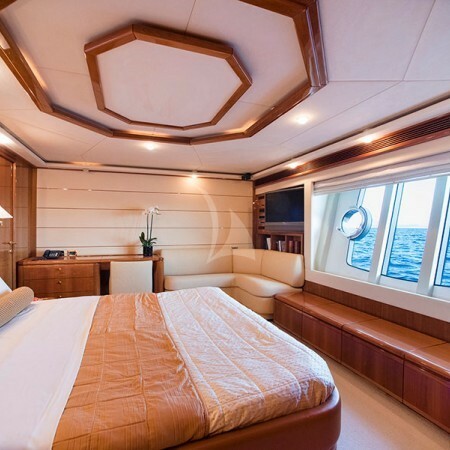 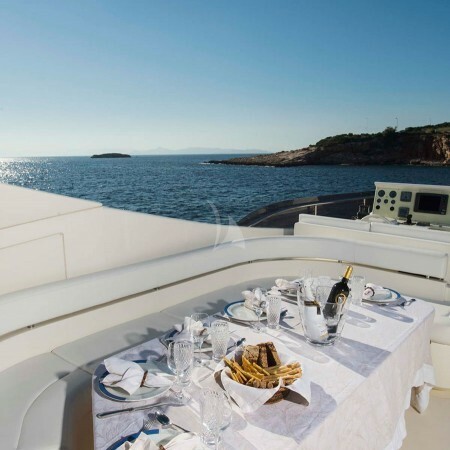 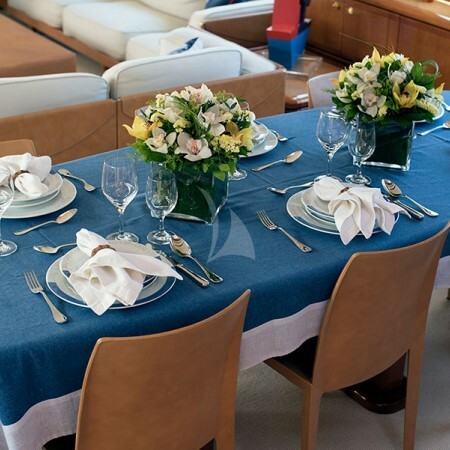 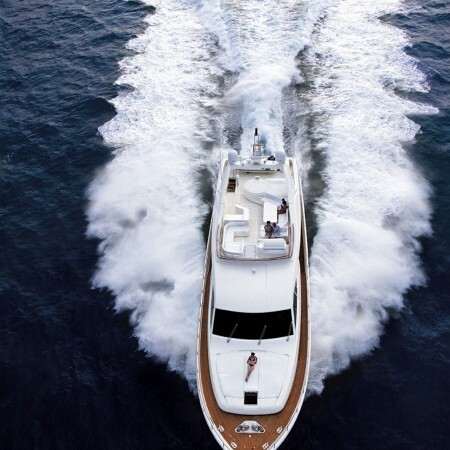 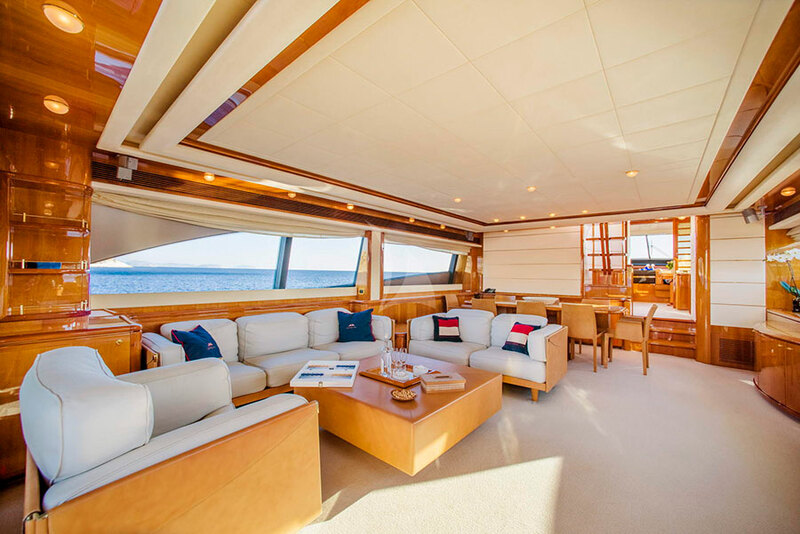 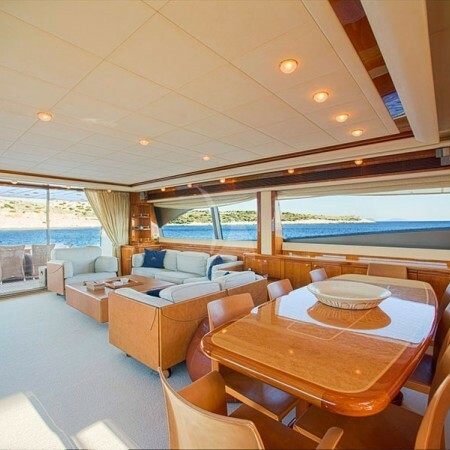 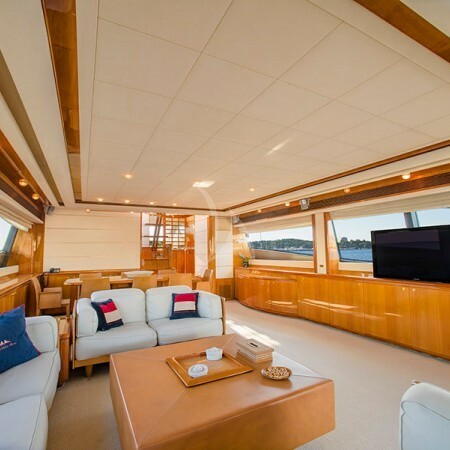 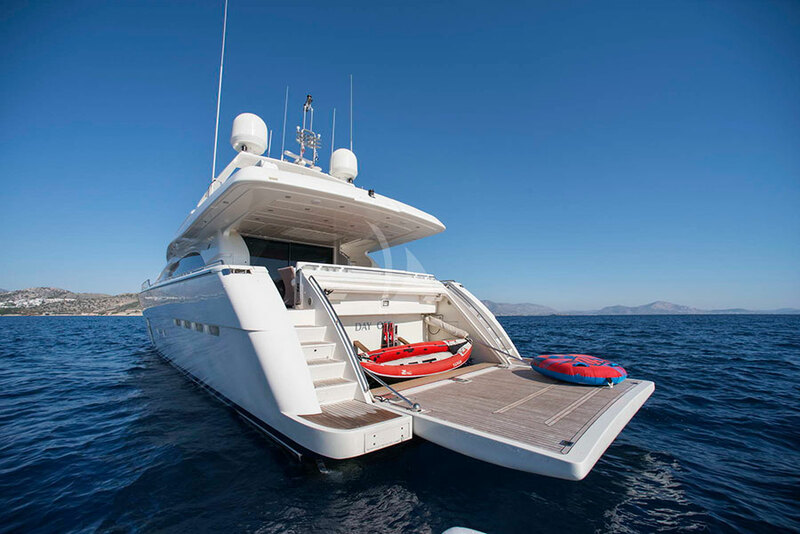 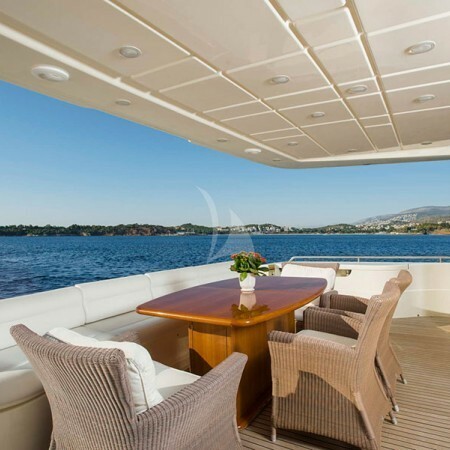 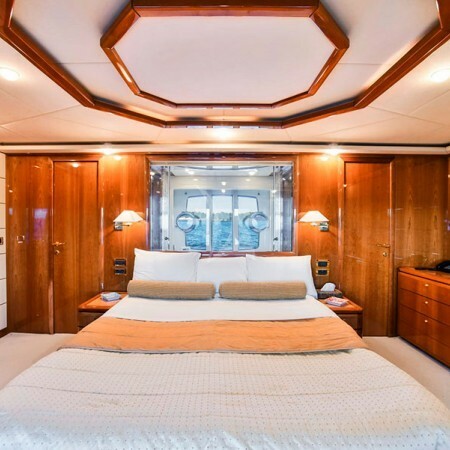 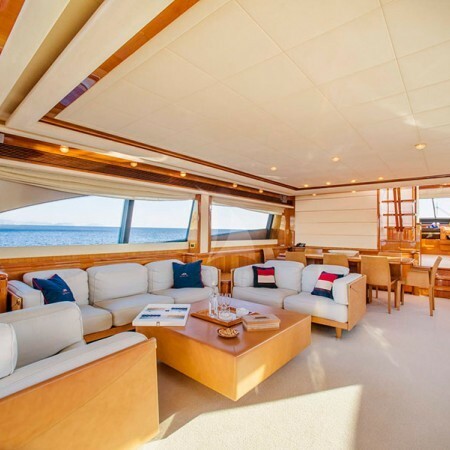 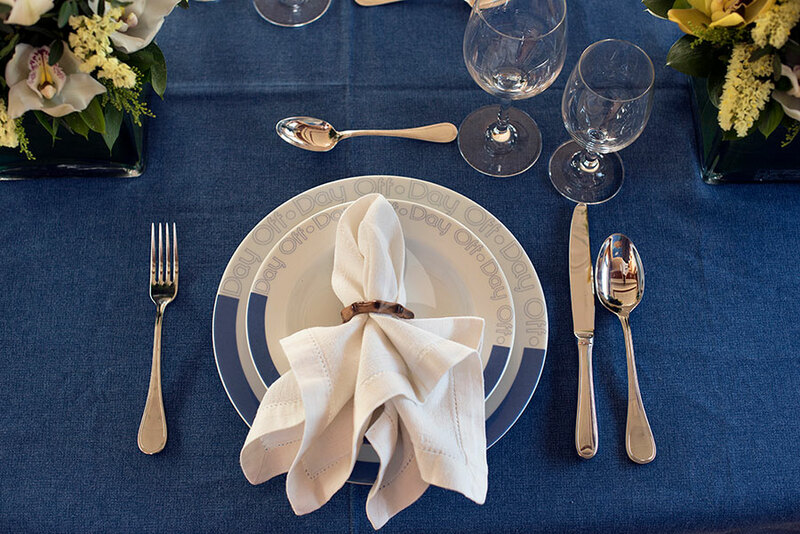 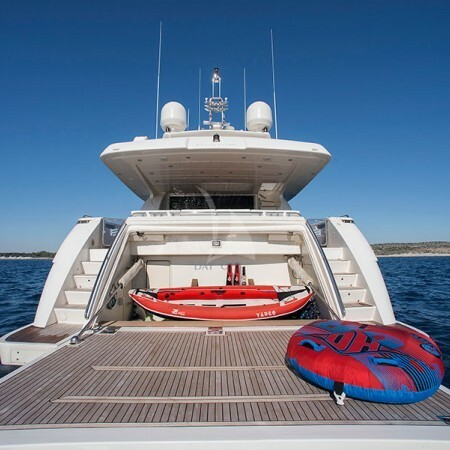 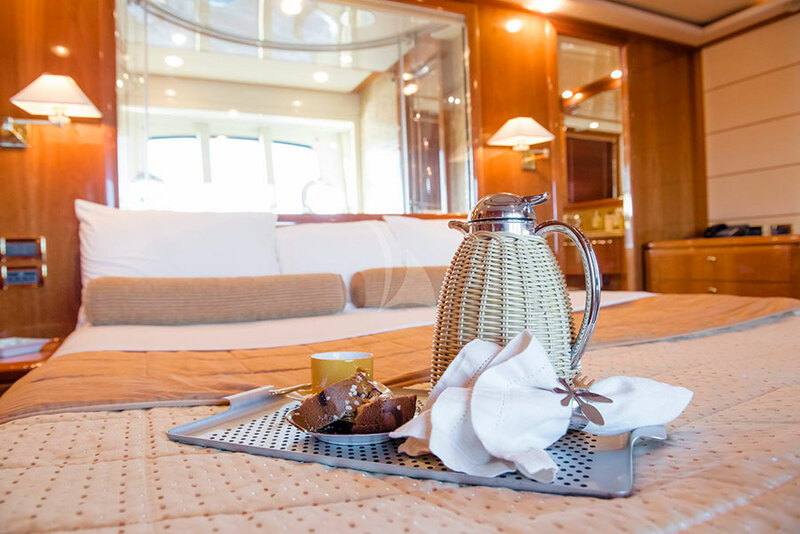 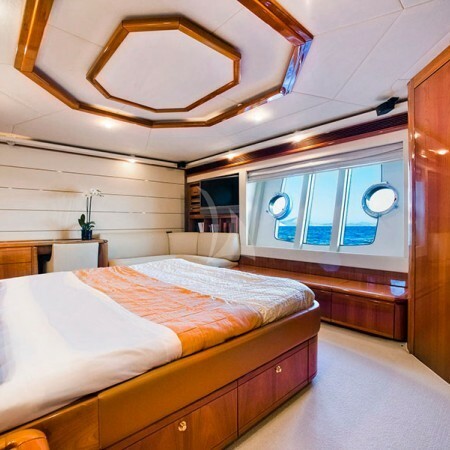 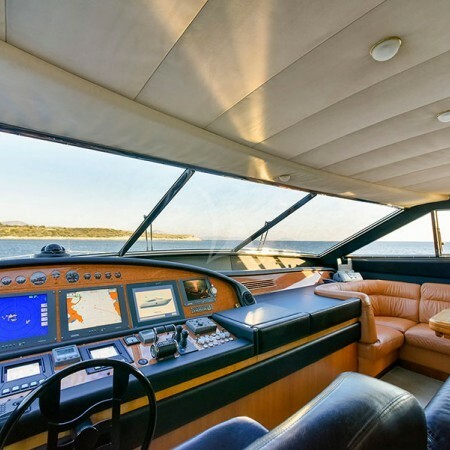 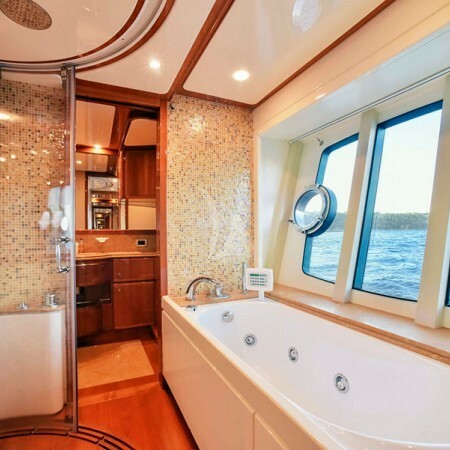 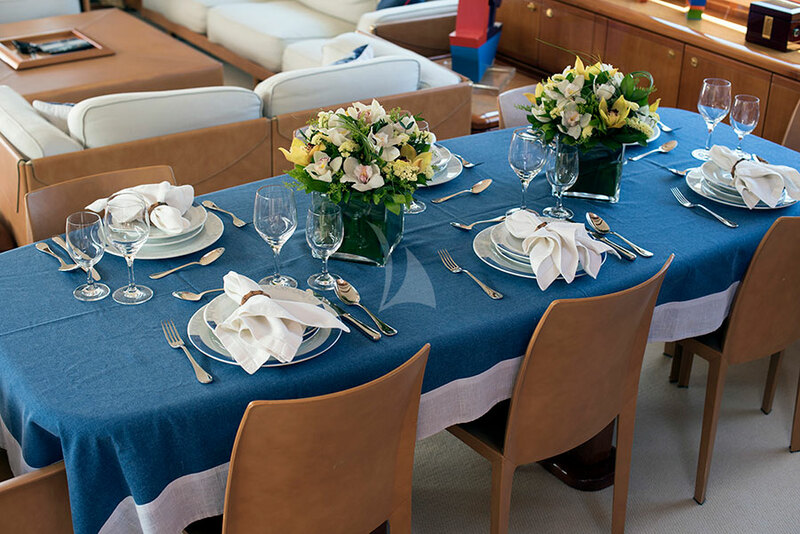 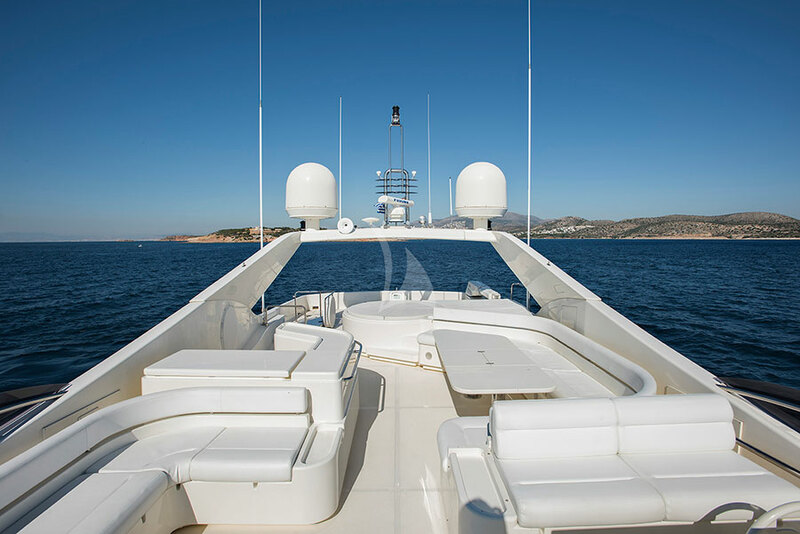 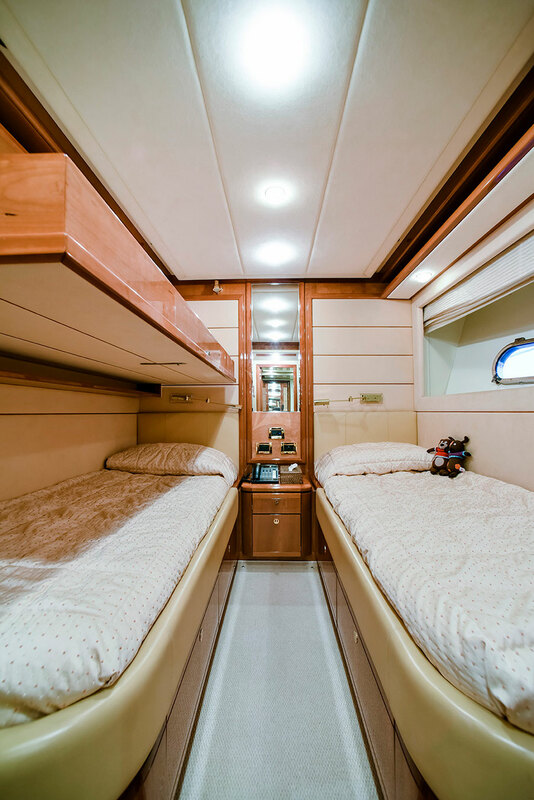 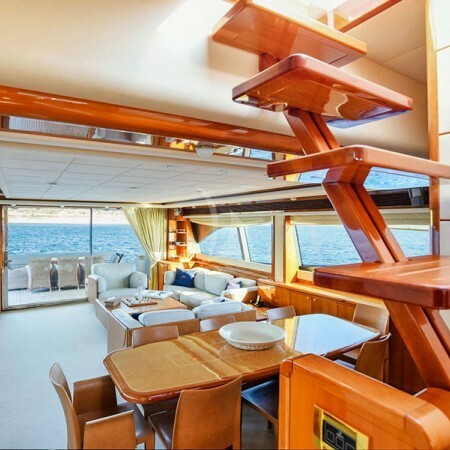 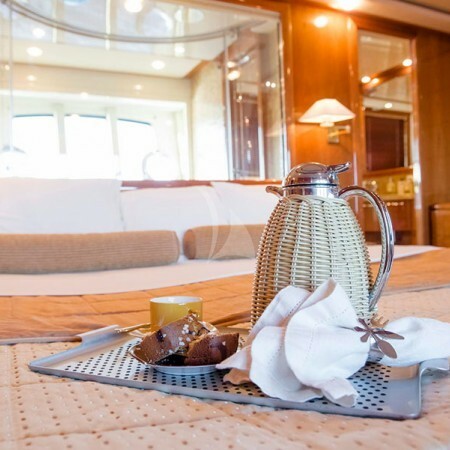 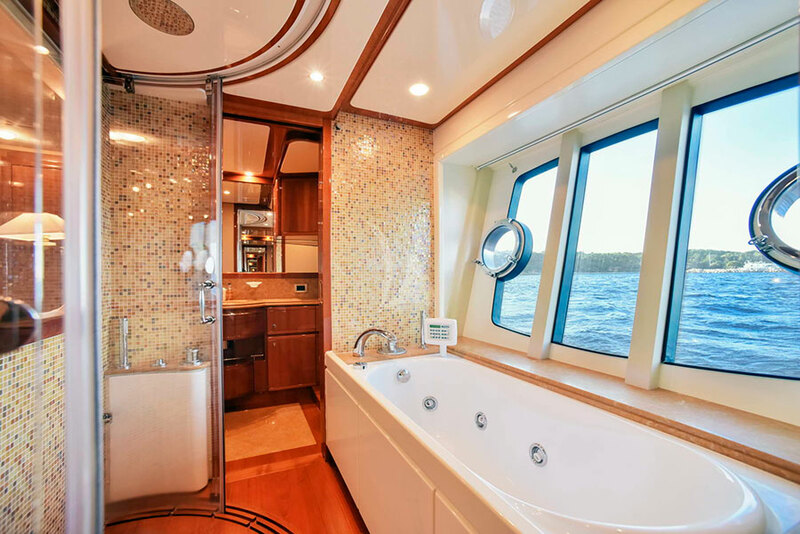 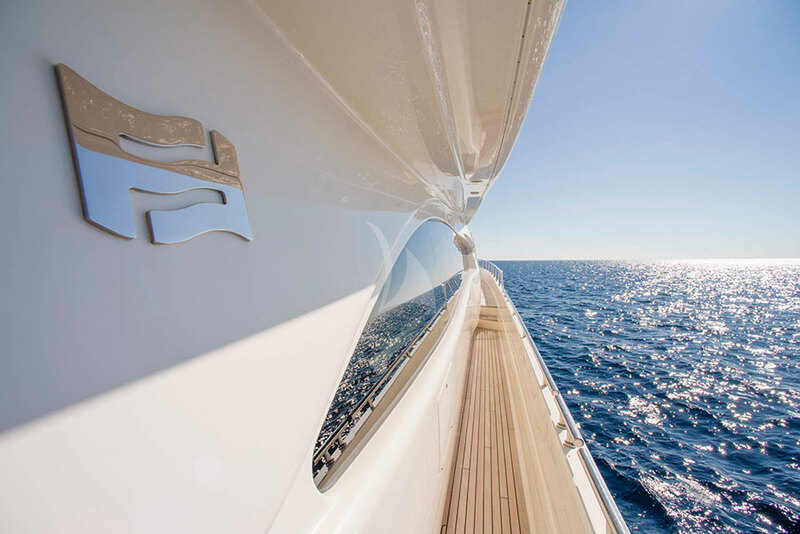 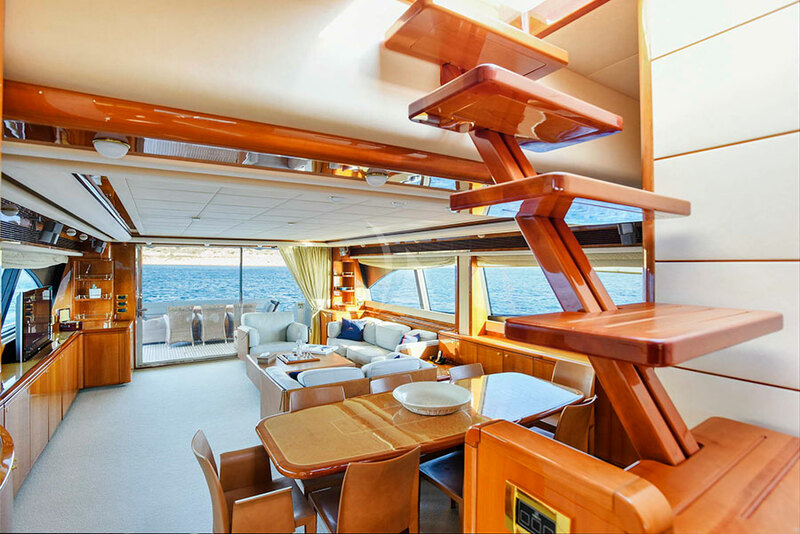 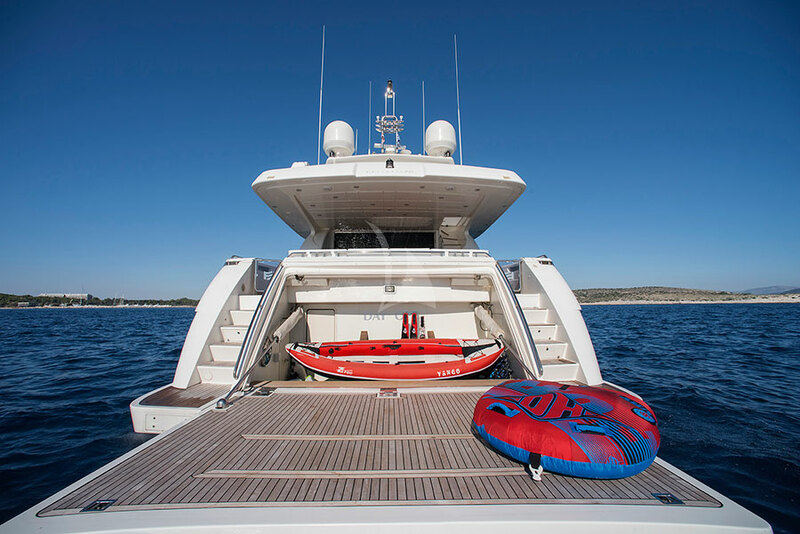 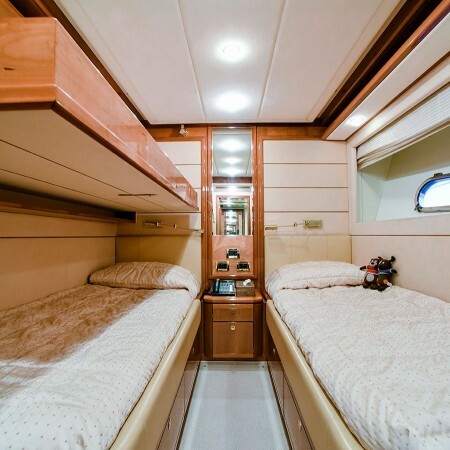 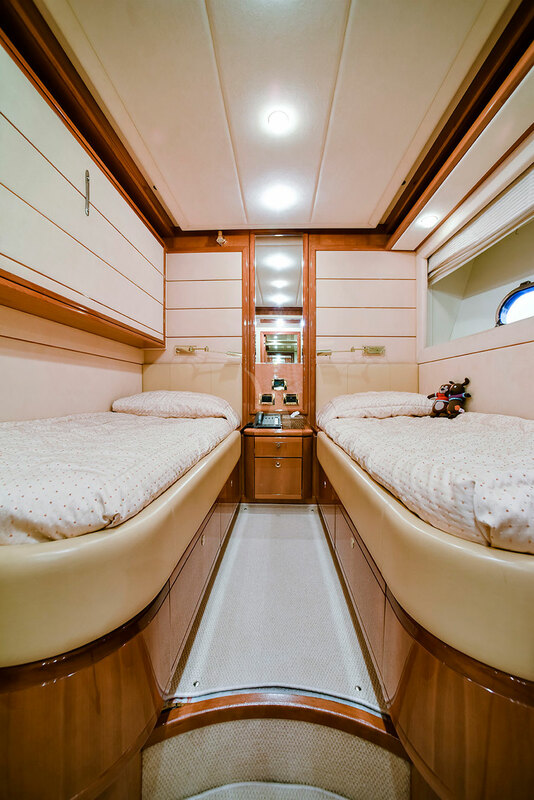 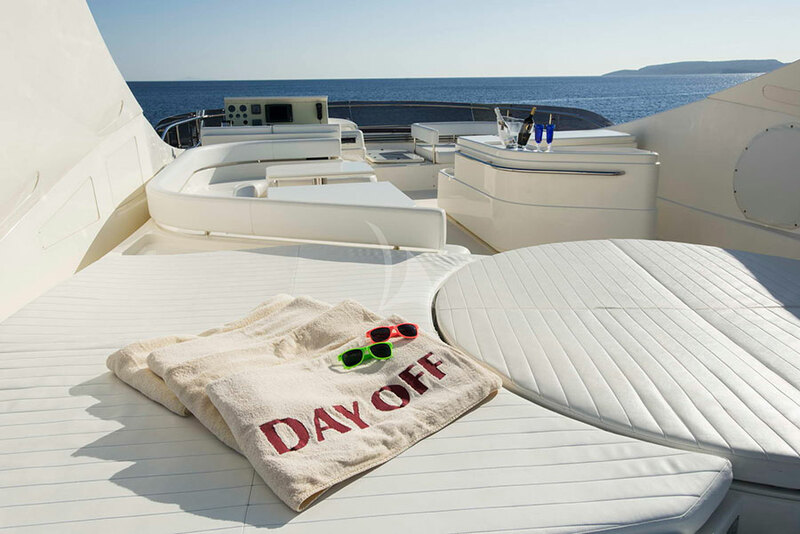 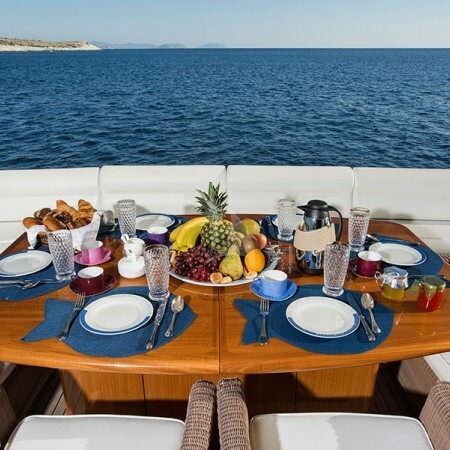 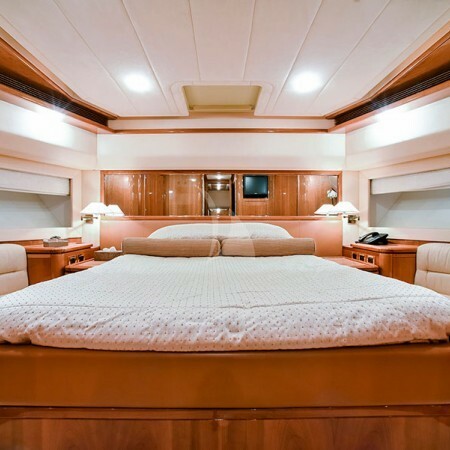 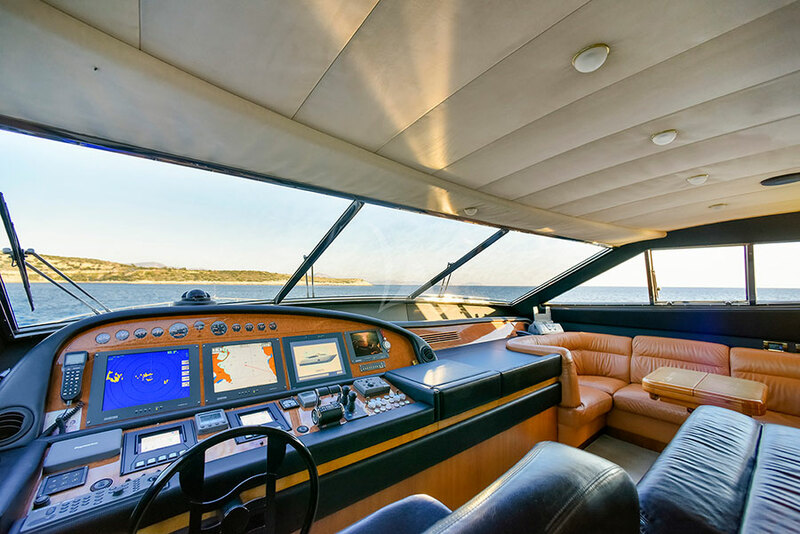 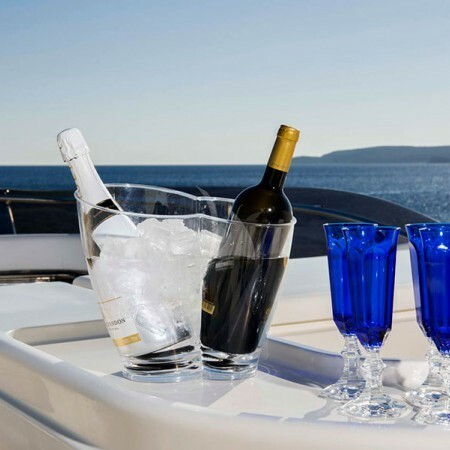 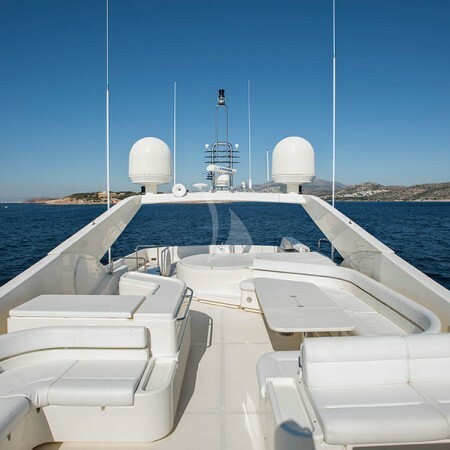 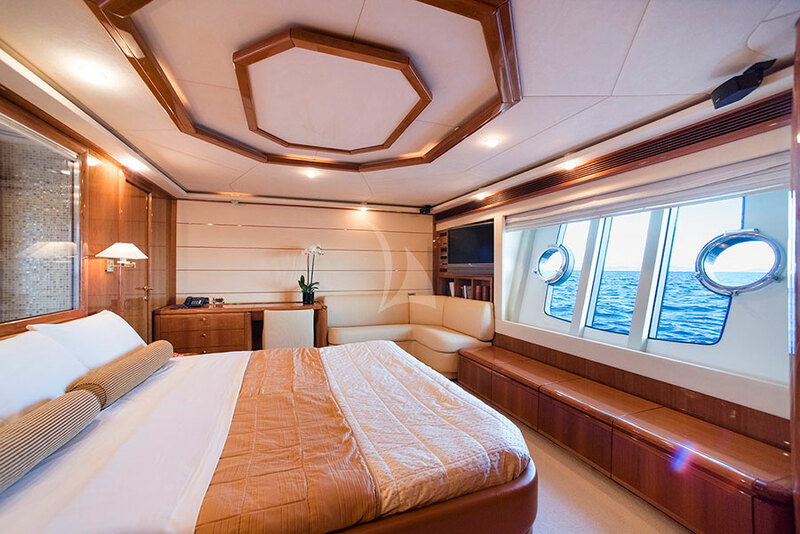 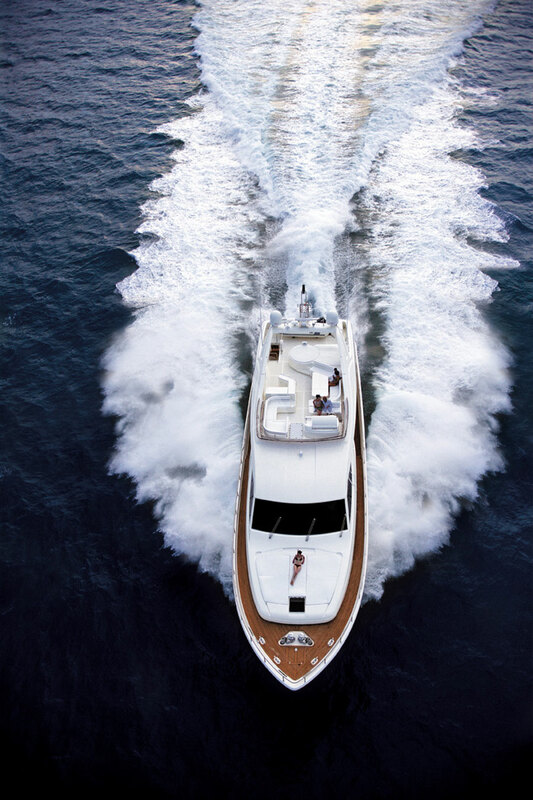 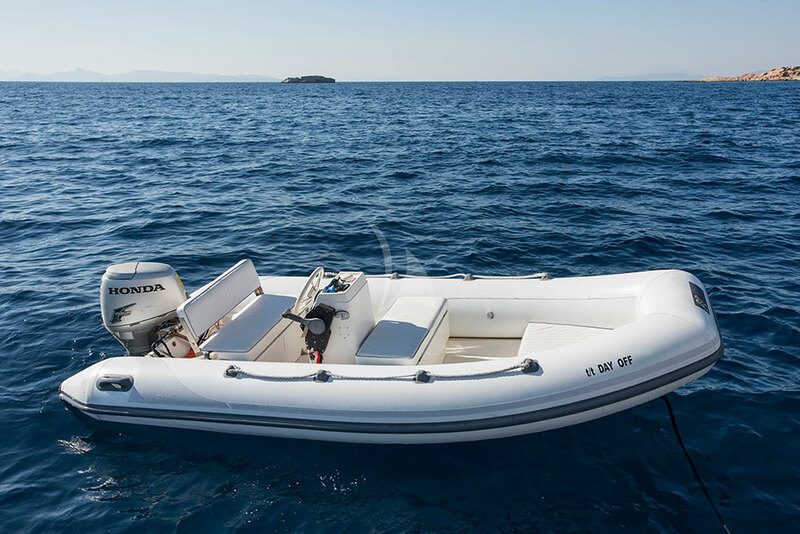 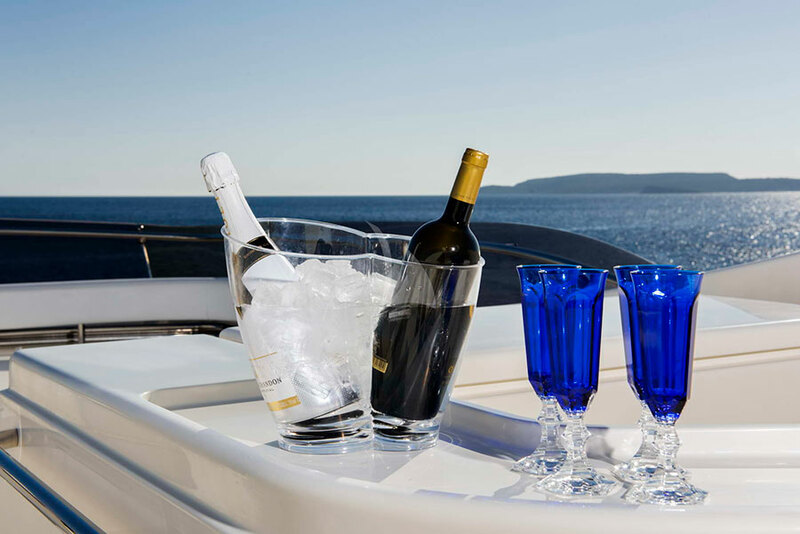 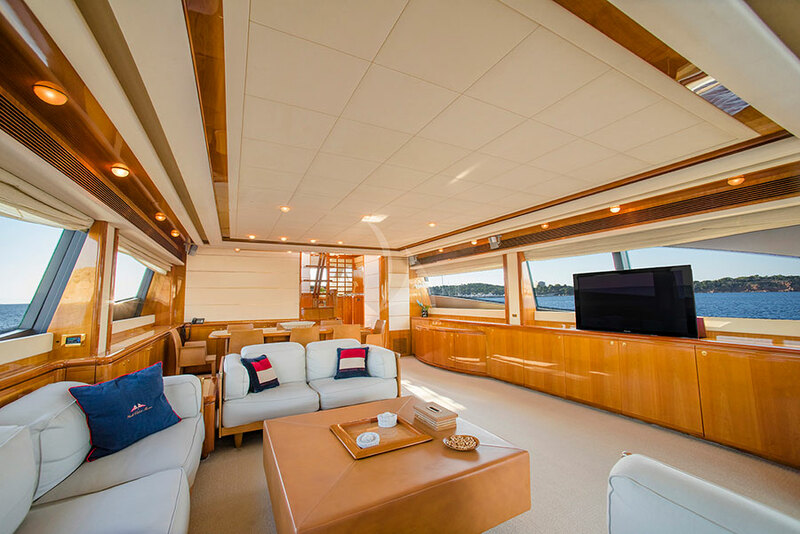 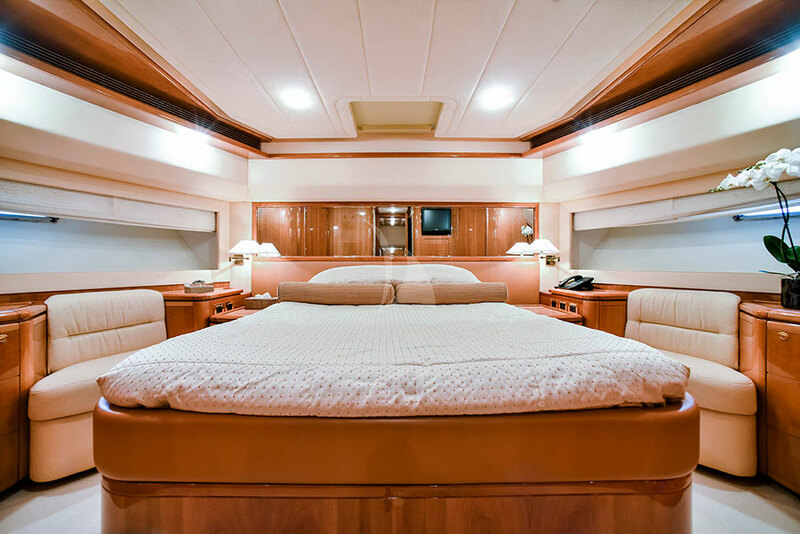 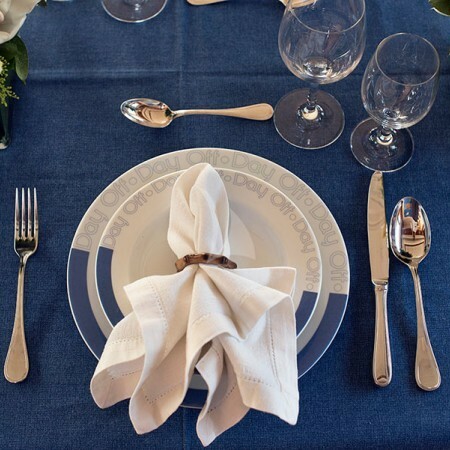 The boat has a comfortable living area inside, a world-class flying bridge for entertaining including jacuzzi, plus a huge water sports activity area on the stern.